PORTLAND, Maine (July 17, 2018) – A range of health topics for runners, including how to maximize runner performance and prevent injuries through gait training, will be discussed as part of a Sports Medicine Symposium on Thursday, Aug. 2 at Maine Medical Center in Portland. Attendees also will hear informative presentations from the Athletic Trainer for Navy SEAL training about providing medical support and care to SEAL candidates, and from the Director of California’s Emergency Medical Services Authority about avoiding injuries on wilderness hiking adventures. Presented by the medical team for the TD Beach to Beacon 10K Road Race and sponsored by MaineHealth, the symposium will take place from 5 to 8 p.m. in the Dana Center Auditorium at Maine Medical Center. The free event, which kicks off race weekend, is aimed at runners, medical personnel and anyone interested in running and wellness. 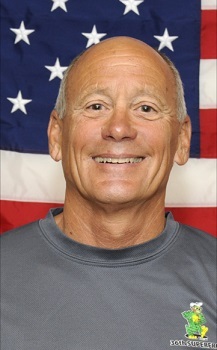 Don Kessler, ATC, is the Athletic Trainer for BUD/S (Basic Underwater Demolition/SEAL training) at the Naval Special Warfare Center in Coronado, Calif. He also was the primary athletic trainer for the gold-medal U.S. Olympic crew team at the 2004 Games in Athens and also has worked and traveled with U.S. soccer teams at the World Cup as well as USA Water Polo. Kessler has been an Athletic Trainer for 45 years, providing services at the Naval Academy, Princeton, Rutgers and San Diego St. He also is an avid runner, having competed in numerous road races, including the Boston Marathon. Howard Backer, MD, is the director of the California Emergency Medical Services Authority (EMSA), based in Sacramento. Chris Troyanos, ATC, is the TD Beach to Beacon’s longtime Medical Coordinator. He also has also served as Medical Services Coordinator for the Boston Athletic Association (B.A.A.) for the past 28 years, providing medical guidance to the Boston Marathon and many other large road races across the country. To reserve a spot, contact Chris Troyanos at troyanos@comcast.net. Light snacks will be provided. MC and the event is sponsored by the B2B Medical Team and Maine Medical Center. 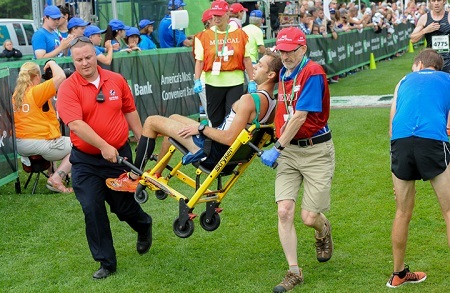 The medical tent at the TD Beach to Beacon in Cape Elizabeth on Aug. 4 brings together physicians, EMTs, nurses and other medical professionals from across the region who volunteer their time to provide top-notch medical care to runners. The TD Beach to Beacon is considered one of the safest 10K’s in the world, Troyanos said. 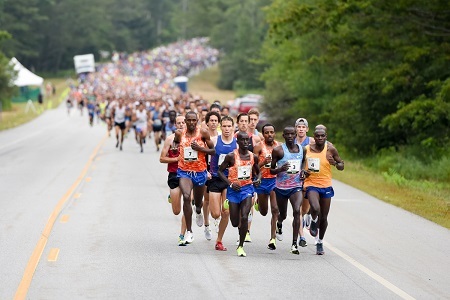 In 2017, a record 6,887 runners from 18 countries, 43 states and more than 270 Maine cities and towns finished the winding, rolling, often breathtaking 6.2-mile coastal course. Thousands of spectators cheered runners along the route and at the finish. The race debuted in 1998 with 2,408 runners crossing the finish line. The 2018 race beneficiary is WinterKids, a nonprofit organization that helps children develop healthy lifelong habits through education and fun, outdoor winter activity. WinterKids (www.winterkids.org) will receive a $30,000 donation from the TD Charitable Foundation, the charitable giving arm of TD Bank, America’s Most Convenient Bank®, and also benefit from fundraising and publicity connected to the race. In addition, the TD Beach to Beacon’s charity bib program now generates an additional $150,000 each year for current and past race beneficiaries. In addition to TD Bank, other major corporate partners include Nike, Hannaford, Poland Spring, MaineHealth, L.L.Bean, IDEXX, Northeast Delta Dental, NEWS CENTER Maine, Olympia Sports, ON Semiconductor and Dunkin’ Donuts. For additional information about the race, visit www.beach2beacon.org, and follow the race on Facebook, Twitter and Instagram. MaineHealth is a not-for-profit family of high-quality providers and healthcare organizations committed to the health and well-being of the communities and people it serves. As the largest healthcare organization in Maine and a leading healthcare provider serving northern New Hampshire, MaineHealth is recognized as one of the nation’s top integrated healthcare delivery networks.